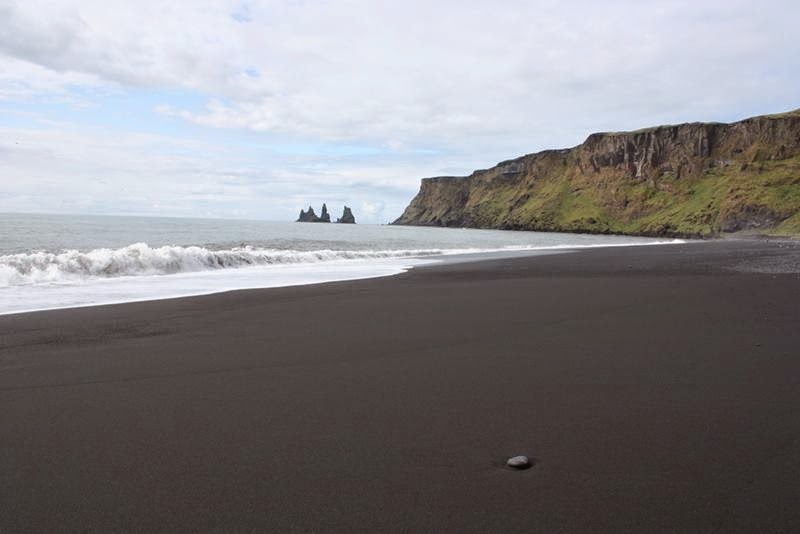 The fantastic black sand and pebble beach near the town of Vik i Myrdal, the southernmost settlement in Iceland. 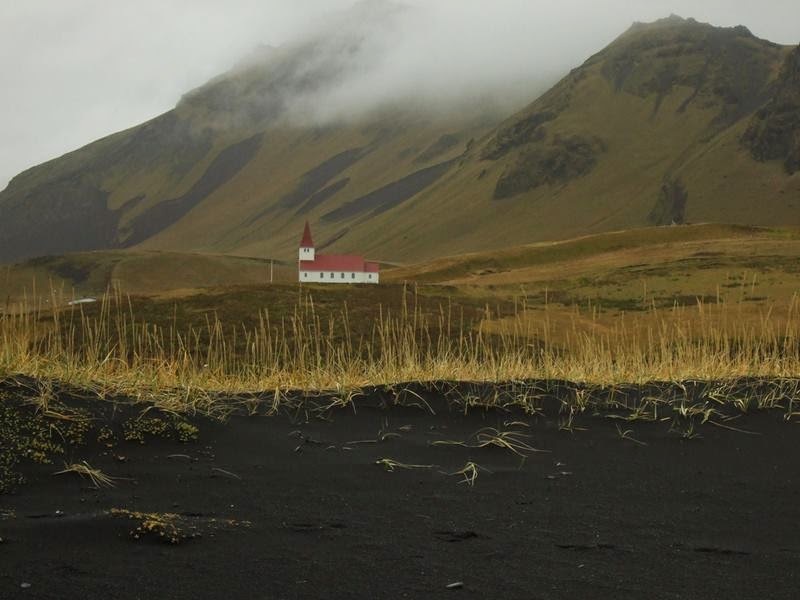 This sand originated from the basalt lava that covers much of the area. 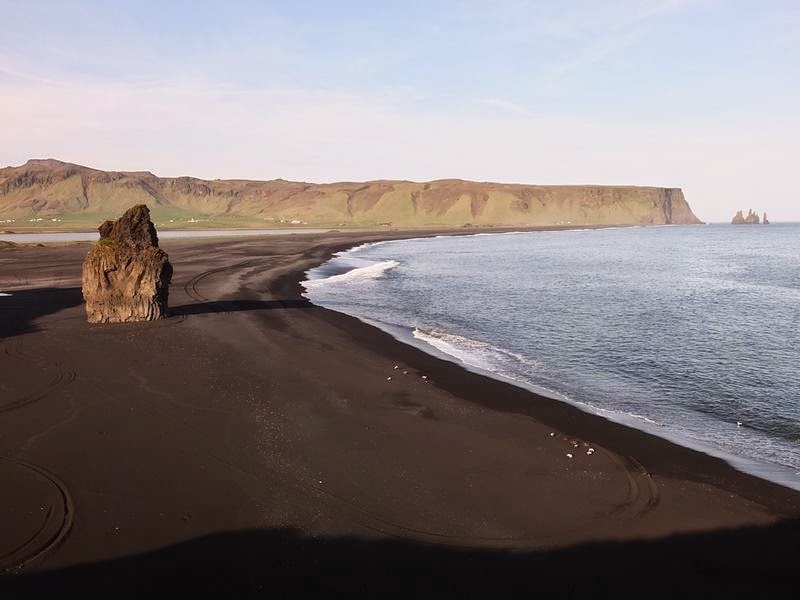 Because black sand isn’t routinely replenished like most beach sand when storms and tides wash the sand away, black sand beaches tend not to endure very long. 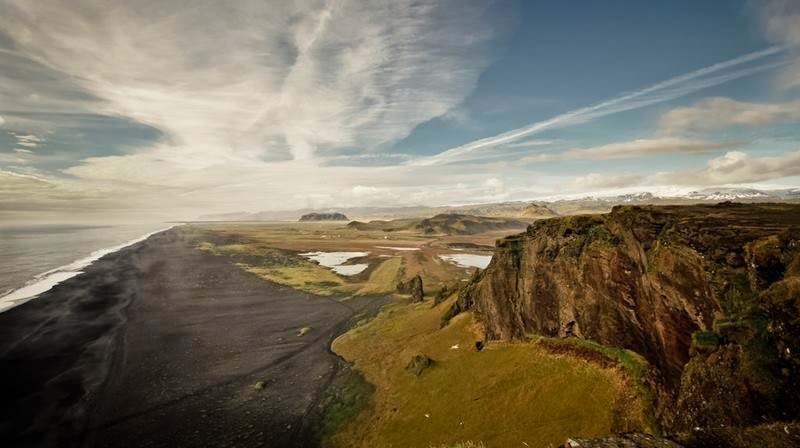 The geology of Iceland is comparatively young -- it owes its existence to the Mid-Atlantic Ridge that splits the island in half. 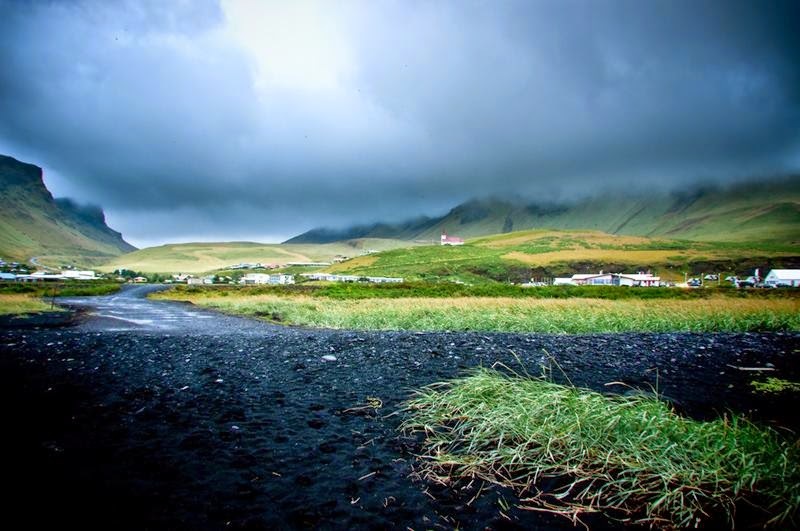 Volcanoes along the ridge, such as Katla, erupt with some regularity continuing to add surface area and mass to the “land of ice and fire” and to augment the black sand beaches. 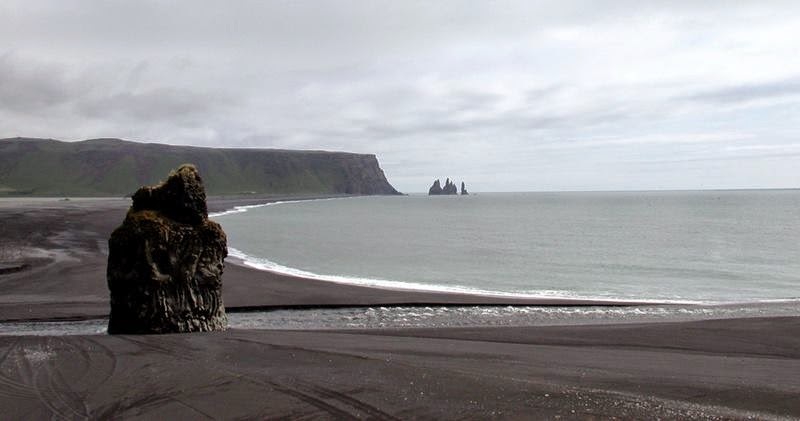 Reynishverfi and since it is famous because of it’s black sand and basalt sea stack, tour guides are more willing to take you 10 km just before you hit Vik proper. 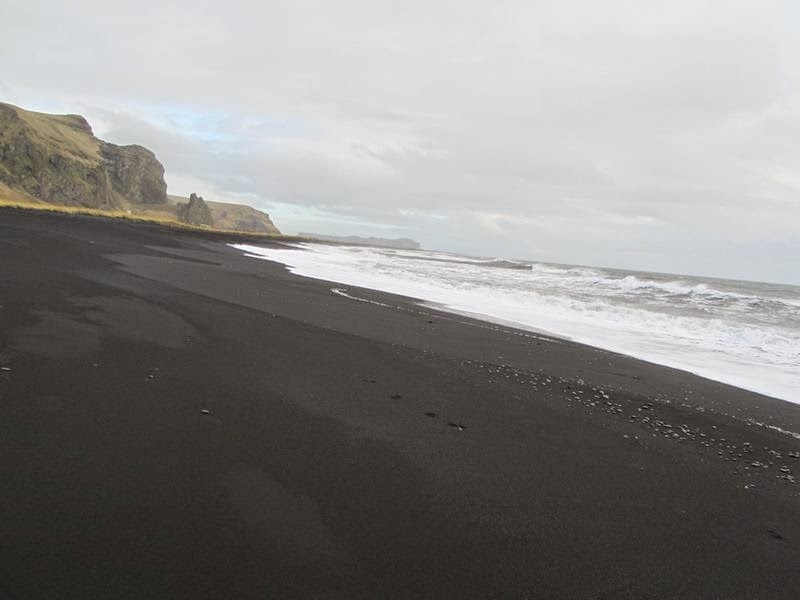 That is where the black beach with 68m high boulders can be found. 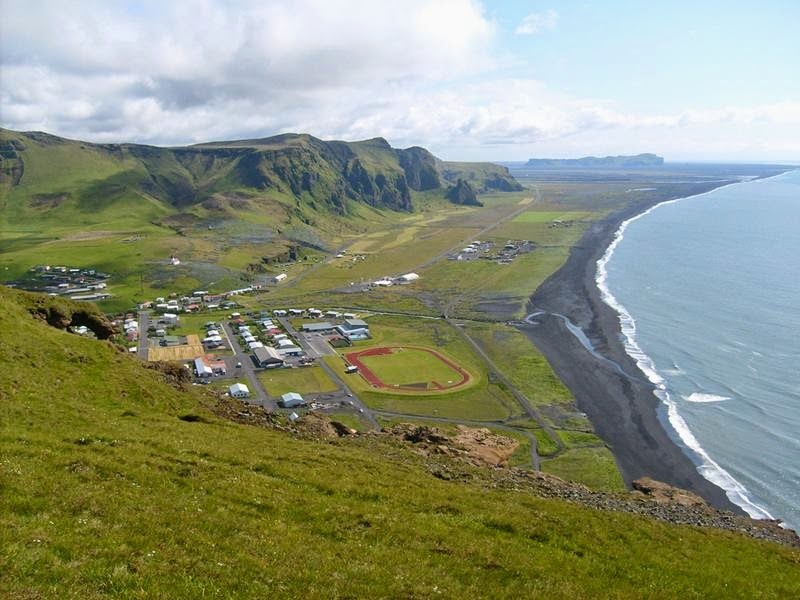 Reynisdragar on the western side of the 340m high Reynisfjall. 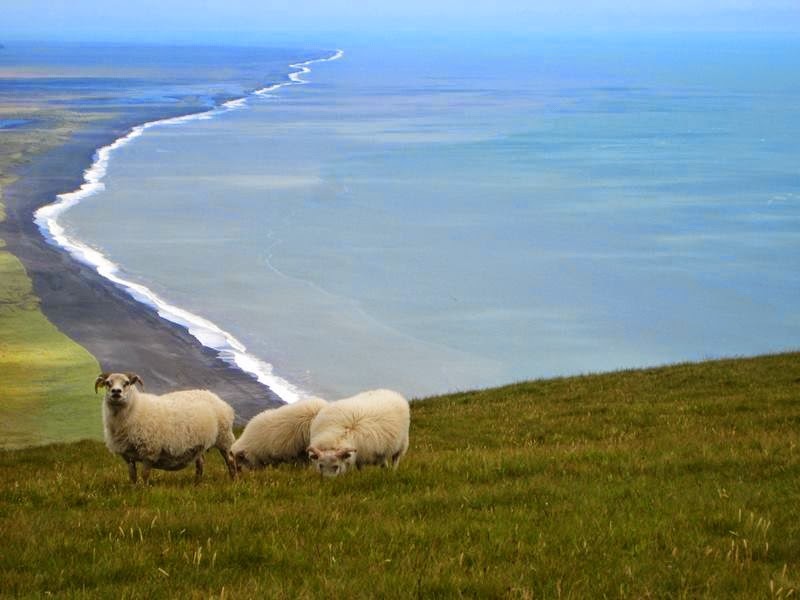 Vik proper is located on its eastern side. 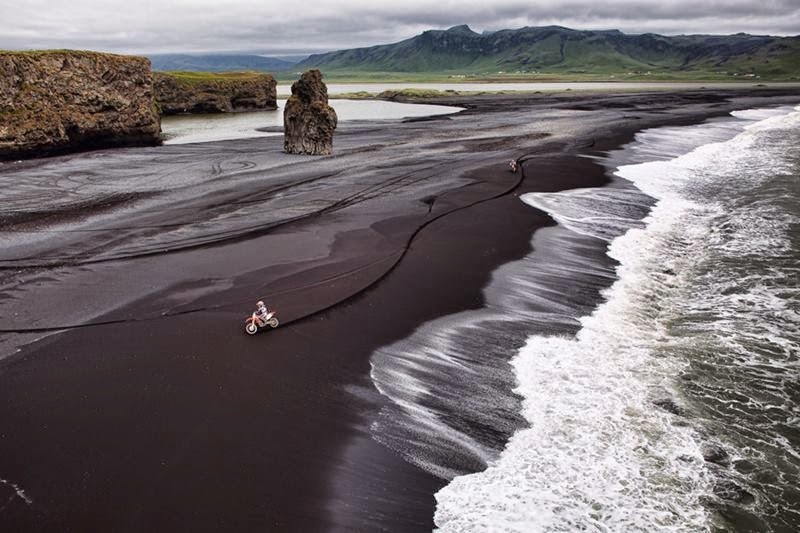 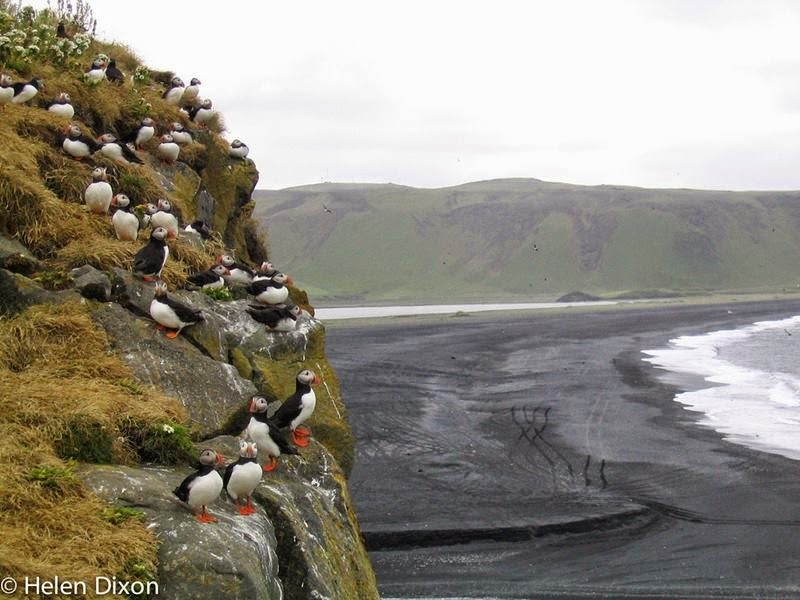 The American journal Islands Magazine counted the black sand beach of Vik in 1991, Iceland as one of the ten most beautiful non-tropical beaches on Earth.